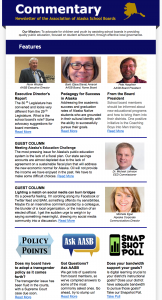 Commentary – AASB’s widely-read monthly newsletter, Commentary, is your access to inside information about what’s happening in education across the state and the nation. 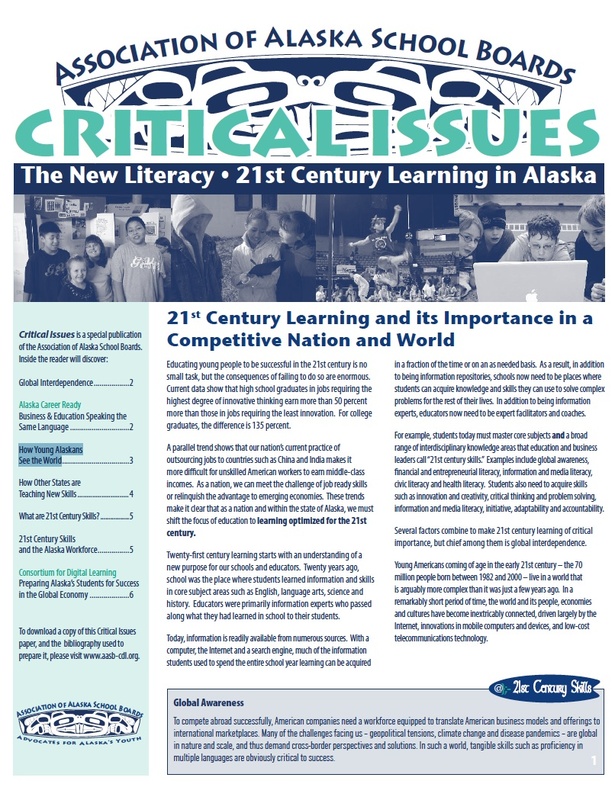 Stay current on boardsmanship, policy development, advocacy, legislative issues, and a host of other important concerns that impact decision making at your local level. 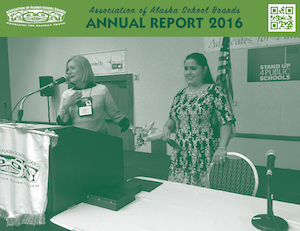 Legislative Bulletin – A digest of activity by the Alaska Legislature for Alaska’s School Board Members and Administrators. 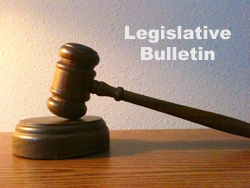 To receive Legislative Bulletins via email, please send an email to aasb@nullaasb.org, type subscribe to legis-bulletin as the subject. 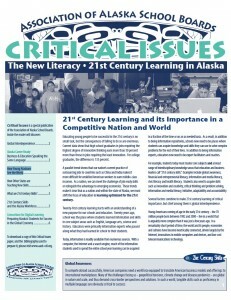 The Senate and House Education Committee Chairs requested that AASB and the Alaska Council of School Administrators (ACSA) develop a list of potential efficiencies and cost savings in K-12 education that are responsive to the current fiscal shortfall. The list of shared suggestions can be seen here.